Ubisoft has given us the details for the newest update for Tom Clancy’s Ghost Recon: Wildlands, Special Operation 4. 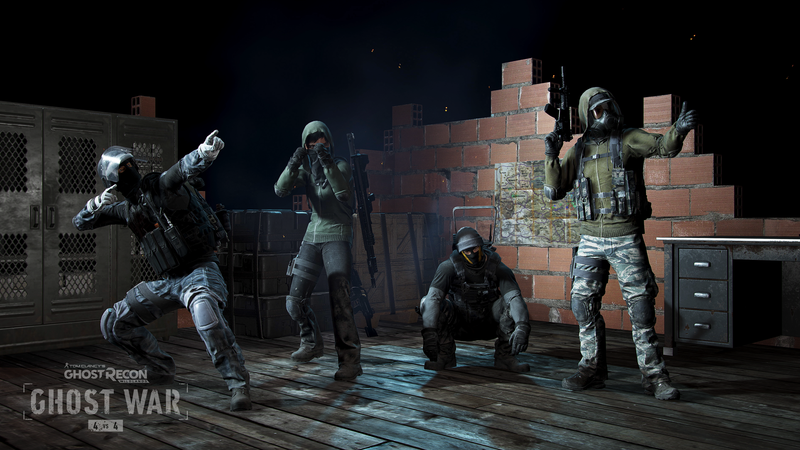 The latest update celebrates Wildlands‘ second birthday and has a lot of new content, with a new PvE mode and PvP class headlining, as well as highly requested features from the fans. The new PvE mode, Guerrilla, adds unique challenges that will test the player’s skill while pitting you up against waves of Cartel and Unidad members. It seems to be something akin to a horde mode, with the opportunity to acquire different skills, weapons, and attachments in between rounds. That should give players a sense of progression. Aside from that, Special Operation 4 will add new Ghost War PvP content. The most major addition is the inclusion of a new class, The Sapper. This is a Support class that can deploy a drone that shoots concussion mines, which will drain a player’s stamina to slow them down. You’ll also see two new PvP maps and two new PvP events. The first event, Arms Race, will have players starting off with pistols with the goal of exploring the map to find better weapons. The other event, Danger Zone, will test your movement abilities, as you’ll be constantly bombarded with ultrasonic blasts. Along with those inclusions, the update will have a slew of fan-requested improvements. During the Solo Campaign mode, you’ll now have the ability to set the time of day, adding a little bit of variety to the way the game looks. You’ll also see new daily campaign challenges, the addition of a compass option to PvE, and a new Heatmap view, which will show the most visited locations in the Wildlands. If you are a Year 2 Pass owner, you’ll gain early access to the new Ghost War class and the exclusive Active Duty Pack starting on February 27, 2019. Everyone else will have to wait until March 6th to access the new class. You can purchase the Year 2 Pass for $29.99. The update itself will be available to all on February 27th on PS4, Xbox One, and PC platforms. Will you be checking it out? Let us know!